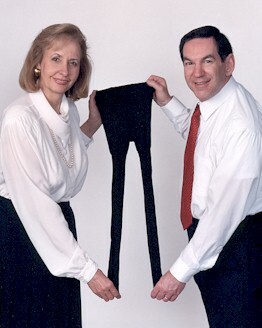 G. Lieberman & Sons (GLS Hosiery) is a fourth generation family-owned business founded in St. Louis in 1920. We have evolved from a wholesale distributor of hosiery, undergarments and nightwear into a successful online retailer of legwear and loungewear for men (Well, at least we’re a “dot-com” that’s still around, which is more than you can say about some of them!). 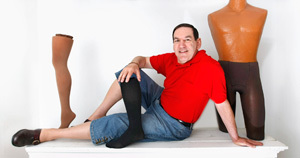 Activskin Legwear, also known as mantyhose, male tights, or pantyhose for men, was developed specifically for men. Engineered to improve athletic performance and stimulate circulation, Activskin is now used worldwide by athletes and others seeking its excellent performance and health benefits, fashionable appearance, and superb comfort. Our quality products, made in the USA, offer a more comfortable and less restrictive alternative to traditional men’s socks and underwear. Comfilon Loungewear includes briefs, shirts, nightshirts, caftans, footcovers, kilt liners, and other unique products for men. Both Activskin and Comfilon products are currently available through our web site only. Since 2016 we are also selling a constantly changing selection of the highest quality European tights made for men, from Italy's Emilio Cavallini, and from Poland's Adrian. We found these product to be in par with our own designs in terms of quality, offering a wider variety of colors and patterns. As an e-commerce business, we are constantly striving to make your online shopping experience as enjoyable and safe as possible. You will find that our web site contains an abundance of useful information, and the most advanced, reliable, and secure on-line ordering system available. As we continue to evolve and improve our site, we welcome your comments and suggestions. The company is owned by Steven Katz (great grandson of G. Lieberman) and Constance Barsky, a husband and wife team residing in Granville, Ohio. Granville is 45 minutes east of Columbus, in the center of the Buckeye State. We don’t have a conventional retail store, but we welcome visitors to our office (by appointment). If you would like to stop by, please e-mail us or call ahead (see information below) to get directions. If you have any questions, problems, or general comments regarding this web site, the ordering system, or any of our products, please contact us by clicking on Customer Support.